I freely admit that I can follow a map well enough, and also know the most rudimentary basics of navigating by the sky. Still, I managed to get lost yesterday, even with a Google map and the chipper assistance of voice GPS. I can only offer as an excuse that I was headed up a remote Swiss valley and there were a few too many roundabouts. In the end I followed my nose, the Luddite’s rudder, and found my way (more on this trip along the Absinthe Trail another time). In the case of the Vikings, some of their navigational technology has remained a mystery for centuries. Researchers have been working to decipher what is assumed to be an 11th-century navigational device. 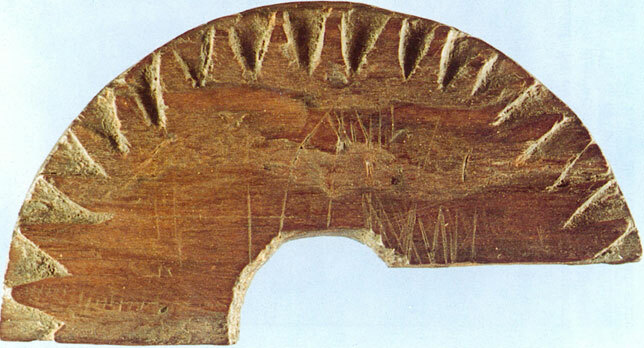 The Uunartoq artifact, a broken half-disc of engraved wood, was found beneath a Benedictine monastery in Greenland in 1948. It was long thought to be a compass of some kind. 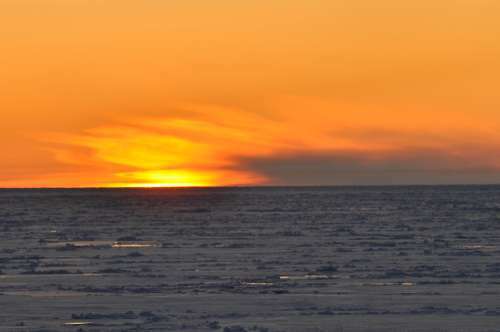 A recently published paper goes one step further, and suggests that the Uunartoq piece is something a bit more exotic – it could be a twilight compass, capable of guiding mariners by the sun, even when the sun is below the horizon. 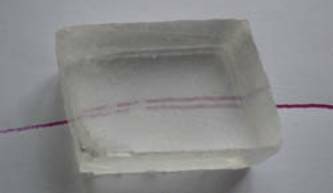 A calcite stone, also known as a ‘sunstone’. These stones are birefringent, which means that they have 2 refractive indexes. A light beam that enters such material is refracted at two different angles. 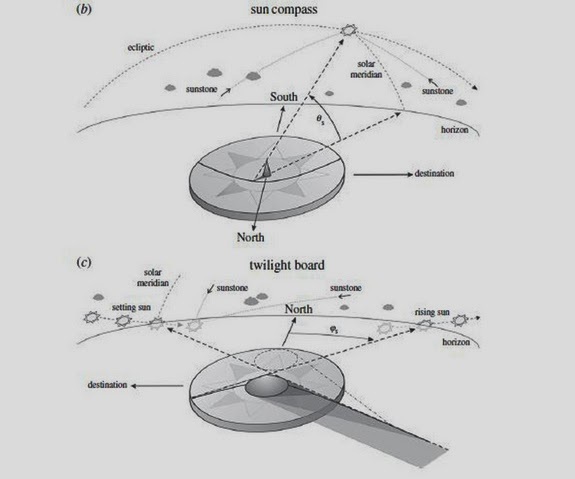 Aligning compass points using two ‘sunstones’, crystals which have two refractive points rather than one, the plate might have caught light sources no longer visible to the human eye. Not necessarily an instrument of extreme precision, but something that could keep a ship more or less on course until the sun came up again and new measurements could be taken. This medieval sea navigation makes a deep impression on me. Once painstakingly learned, how was this precious information passed along within cultures and across generations? And, just as intriguing, how was something this valuable ever lost and forgotten?